Beschrijving: The MUSE is a personal mobile museum on the iPad. 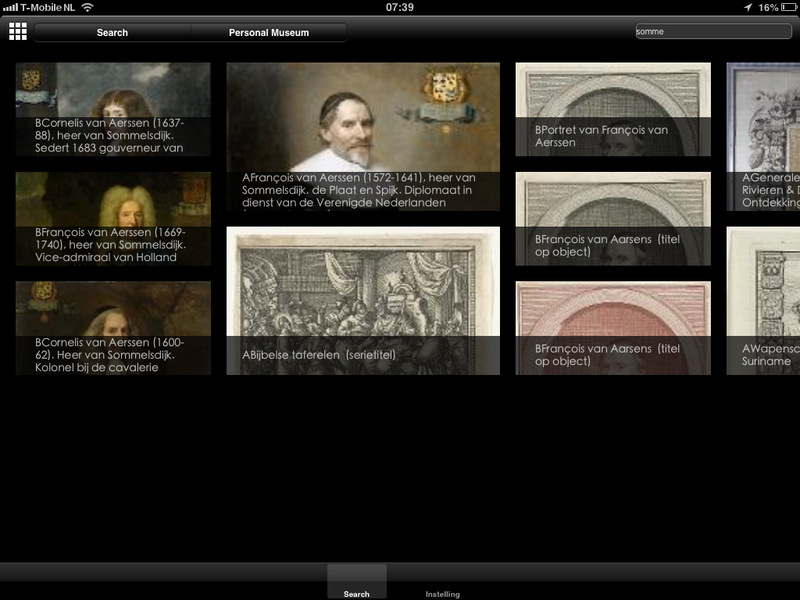 A new, interactive and social way for people to browse, view and curate digital cultural heritage content. It is more of a platform that can be used for almost any digital content but we have used the Rijksmuseum data, API and digital content in order to show how well it works. We first developed the MUSE during the Eruopeana hack4europe competition using their API to create a more intuitive interface for cultural heritage digital content. We wanted to make it possible to quickly and intuitively find, save and share cultural content on a mobile device so people could find out more about cultural content while being involved in a cultural experience on location- say on a city tour or in a museum. 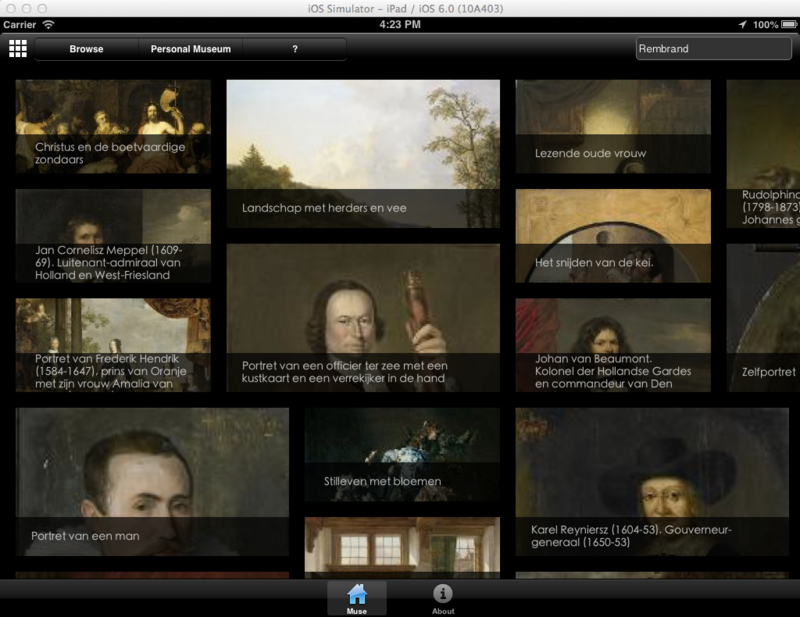 We did this by combining the Rijksmuseum API (data and content) with Wiki disambiguous links and a new Node Database that saves all the links created as people connect with objects and information. This enables the discovery experience but it also creates an incredible opportunity to enrich data as people explore, curate and share their experience with others when they add comments and create links. The App is curently available to download for testing by the judges by signing up for testfilight using the URL. 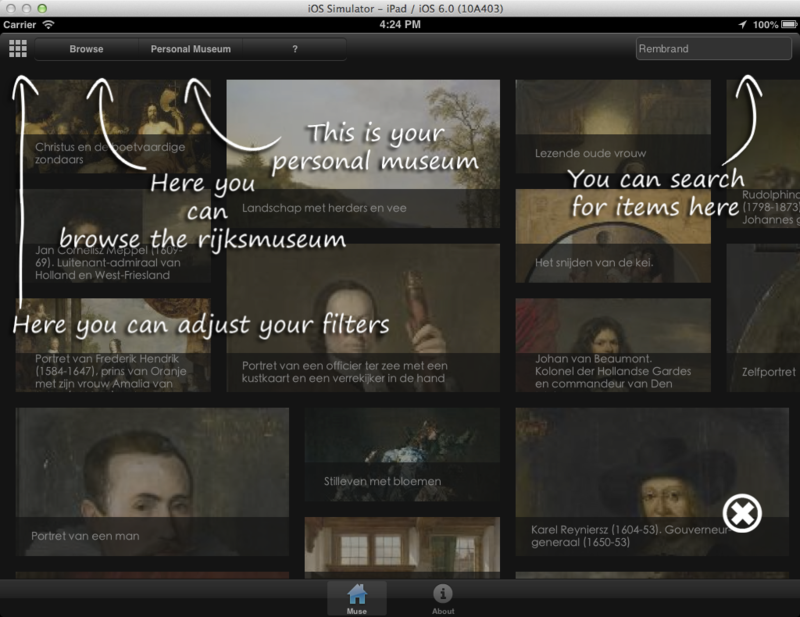 For more information about MUSE and how it works you can visit www.mobilemuseum.eu and watch the screencast.